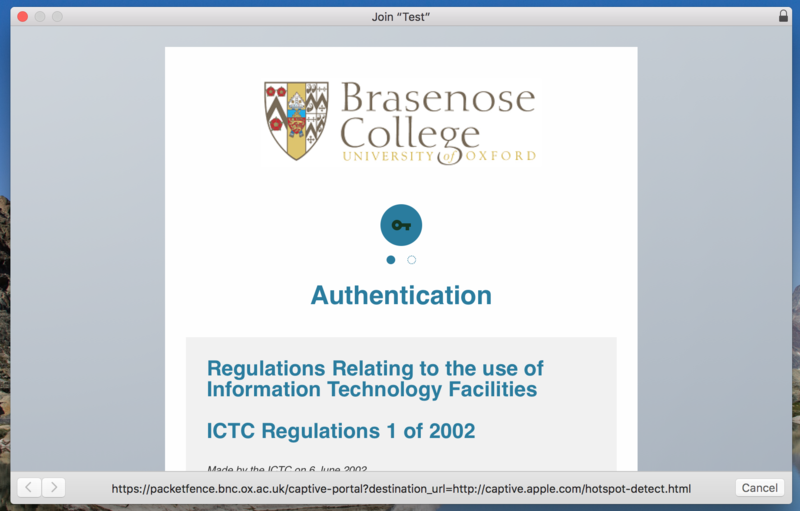 You will require a local Brasenose username and password to access this network. For staff, this is the same as your terminal username and passwords. For Conference Guests, you received these credentials in your welcome pack. 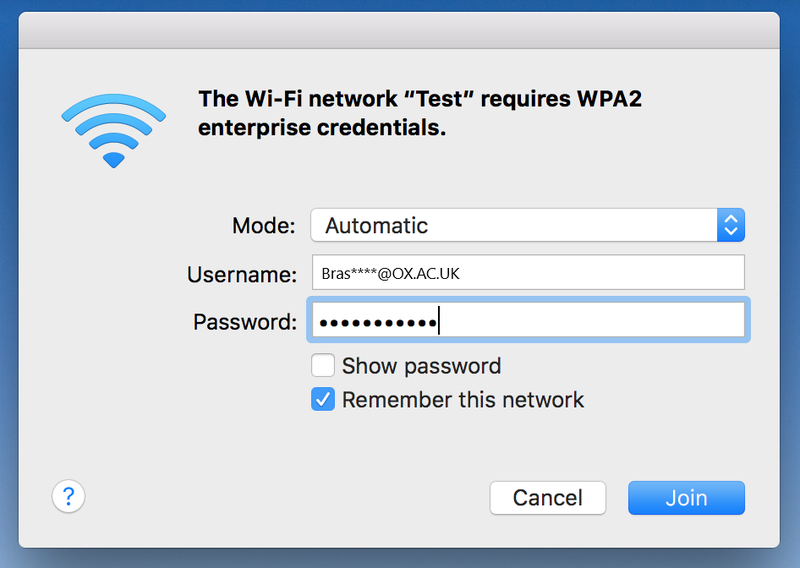 For students, please use your Remote Access SSO (RASSO) username(bras****@OX.AC.UK) and password to login. For more information about username please click here. 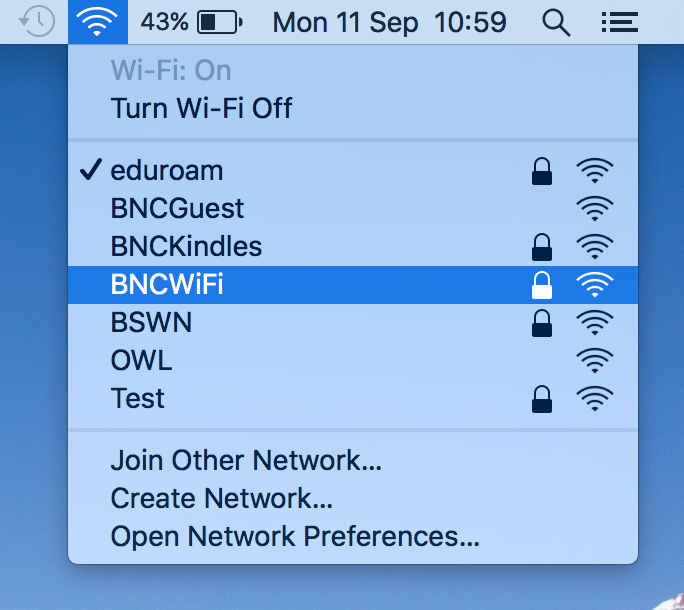 Choose the BNCWifi network from your list of networks. 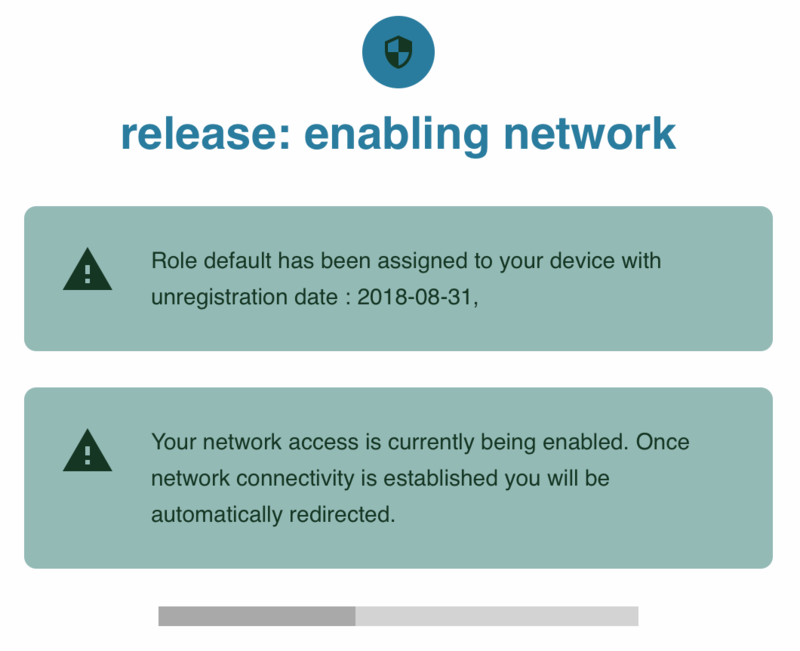 A prompt will appear for enterprise credentials - simply enter your username and password. Press continue on the certificate which appears. Then a window should appear with a license agreement. If this does not appear open a web browser and navigate to http://www.bbc.co.uk. This should then bring up the agreement. Scroll to the bottom to accept it. Enter the same login details as used above. If correct the prompt will disappear and you should have internet access. If this is not immediate wait 30 seconds, and turn your wifi off and back on again, which should enable the access. You may see this error displayed depending in your device. This is OK. Close the window and your web browser. Reopen the web browser and try a different webpage and you should have internet access. If this doesnt work first time, turn your wifi off for a minute and back on.